Hendrik Hasse, author of Crafted Meat. It all began in Germany with Hendrik Haase. Hendrik is a food activist, designer, and part owner of Kumpel & Keule, a nose-to-tail butcher shop in Berlin that is completely constructed from glass. Kumpel & Keule, the German butcher shop made from glass. Talk about transparency. You can literally see everything that happens in this butcher shop. They even have little glass windows in each production room so butchers can offer samples to onlooking crowds. A glass door into one of the rooms at Kumpel & Keule allowing for the utmost transparency. In case you were wondering, Tyson, Cargill, and other industrial meat companies don’t share the same "clear" philosophies when in comes to meat processing facilities. 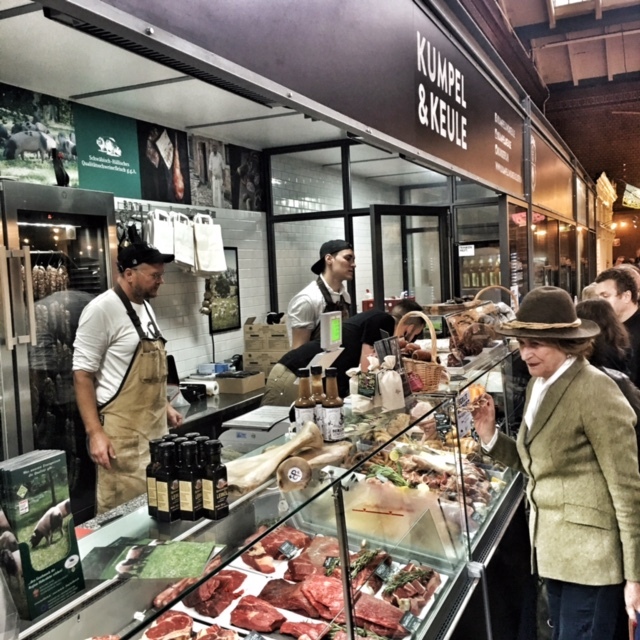 Two years ago, Hendrik traveled the globe and collected information on the best and most progressive butcher shops he could find - from Dario Cecchini and Kate Hill all the way to Salt & Time in Austin, TX. His published findings are in his book, Crafted Meat, an all-important catalyst for the future. 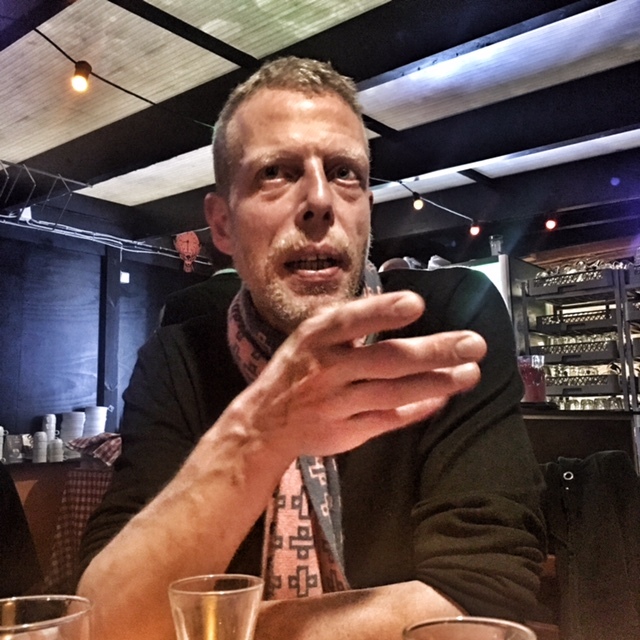 Michael Museth, founder of The Butchers' Manifesto and Folkets Madhus. Now jump to Michael Museth in Copenhagen, Denmark. Michael was the visionary. He had talked about creating an international meeting of butchers - a place to share wisdom and grow the craft. Late last year, he picked up a copy of Hendrik's book. He was inspired by Hendrik's portrayal of these craftsmen in an artistic and heroic way. Michael scrutinized, that across the world, the time-honored craft of butchery was being gutted by large corporations making inferior products on a massive scale. Michael saw a trend developing too. Just as he longed for the homemade sausages he had grown up with as a child, consumers were starting to drift away from commercially processed, tasteless sausages and meats. He realized it would be up to him to unify the craft butchers of the world and save their age-old skills. Michael started by sending emails. He visited shops and spoke with butchers. Some called him crazy – even Hendrik himself didn’t believe Michael could pull off such a lofty goal of globally uniting butchers and their craft. However, after eight months, Michael had convinced twenty-five butchers to make their way to Copenhagen to discuss their plight, swap good stories and recipes and create change. For those interested in a meat revolution, you should read Hendrik Haase' book, Crafted Meat. It's available through Amazon.